Upgrade to unlock new exclusive gear sets! The Goddess of War needs skilled captains and pilots to BLAST the upstarts in the past, present, and future! 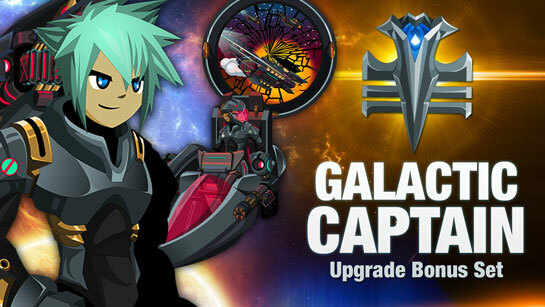 Starting Friday night, get the Galactic Captain mount armor, regular armor, and more when you buy any AdventureCoin or Membership package of $10 USD or more. After you purchase an account upgrade, select a bonus set of your choice from a list of options in your Account Manager. Choose the Galactic Captain to unlock two full armor sets. Once you've chosen the Galactic Captain bonus on the Account Manager page, log in and find the set's shop in the Other Achievements tab in your Book of Lore. Boosts and Doom Tickets will be added directly to your inventory. Our Upgrade Bonuses Leveled Up... Choose your Reward! 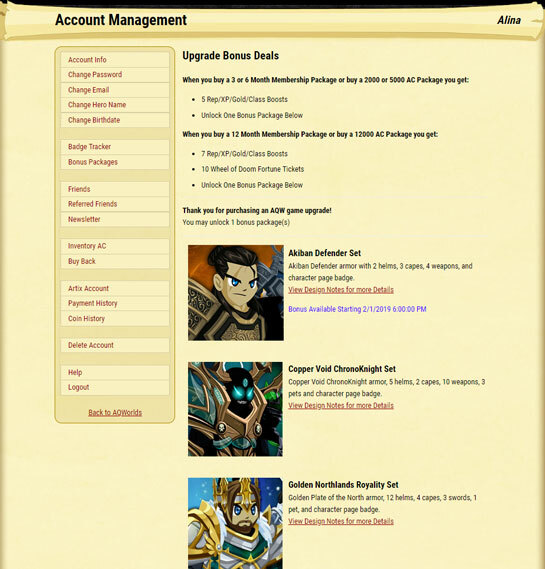 In the past, our upgrade bonus sets would only be available for a single month, and then would become permanently rare. We made some really incredible gear... that no one can get now. I've talked with many of you individually to brainstorm and get feedback, and last month, we took a big step forward: from here on out, our upgrade bonuses will be permanently available. We will continue to add new upgrade bonuses regularly, but the big difference is... now you can choose which upgrade bonus set you want! All future upgrade bonus packs will be added under this system. ALL of the upgrade bonus gear for a set will be available when you buy an AC or membership pack worth $10 USD. We will no longer be doing Tier 1 and Tier 2 sets. Each time you upgrade, you'll be able to choose another bonus set. If you've already unlocked all the available sets, once a new one releases, you'll be able to choose it immediately. If you buy a 12,000 AC or 12 month membership pack, in addition to choosing an upgrade bonus set, you'll also get 7x Game Boosts, a character page badge, plus 10 Wheel of Doom Fortune Tickets (worth 2,000 ACs). Upgrade Pack Changes: Why These Changes? The goal with all these changes is to reward you even more -- to give you guys more options and more choices. (Plus, this new method lets people who upgrade multiple times get multiple rewards.) This is a great improvement for players who want to collect upgrade bonus sets (but may not always have the ability to when they first release).